Sapphire the September birthstone is typically a blue gemstone. Sapphires can naturally appear in a wide range of colours, sometimes named 'fancy sapphires'. The only colour this gemstone cannot be is red, because red coloured corundum stones are known as rubies. Virgos, from August 23rd to September 22nd they are known to be loyal and hardworking. Virgos enjoy two birthstones. Most of them will enjoy the beautiful September birthstone sapphire. According to astrology, those born under the sign of Virgo make excellent writers or journalists, thanks to their well developed communication skills. Astrology-zodiac-signs writes that they make excellent partners with Pisces who, for those born in March, also have a blue birthstone, aquamarine. The last eight days in September are under the sign of Libra. People born under this star sign are (according to astrology) fair-minded and diplomatic, yet are known to be indecisive at times, possibly due to their strong dislike of injustice. Libra is an air sign, and as such they have a strong intellect and a keen mind. They are also well known for their love of good literature. For Libras, inspiration is only a page turn away. If you're looking for the perfect gift, look no further than a birthstone. We have a beautiful selection of sapphire necklaces and rings, which will be ideal for a loved one in your life. Perhaps, the classico ring or maybe the melody necklace . Any of the numerous beautiful pieces we have available in our sapphire range would make an ideal gift for anyone born in September. Why Should You Buy A Sapphire? Sapphire is a very rare gem. Before the DeBeers organisation launched their advertising campaign, the most common choice for an engagement ring was either sapphire or ruby. 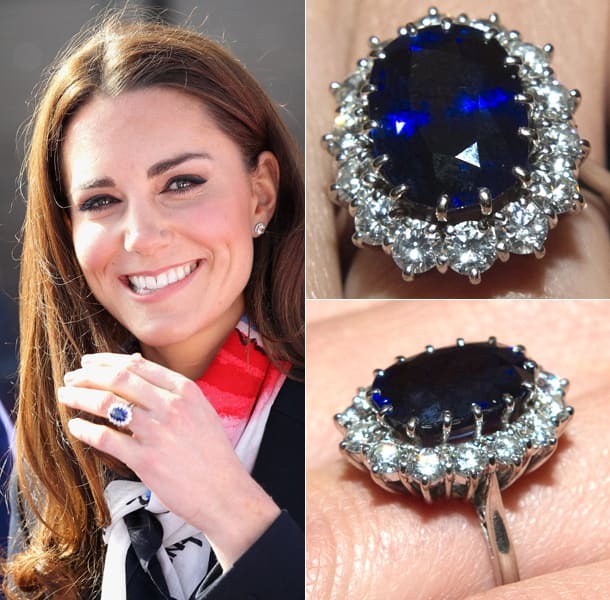 Prince William proposed to Kate Middleton with his mother's engagement ring, which was made from sapphire. So why should you buy a sapphire over other gemstones, such as a diamond? Well, diamonds whilst thought of to be extremely rare are in fact very common. As the Gem Society writes DeBeers mined and stored a large number of uncut diamonds in order to keep the price high. To this day it is estimated that DeBeers still control 75-80% of the diamond rough. In fact, sapphires are so well loved, a sapphire known as St Edward's Sapphire holds a leading role in the centre of the cross on the crown of Queen Elizabeth II. If you're looking for a beautiful gemstone, you can't go wrong with a sapphire, especially if your loved one was born in September. If you're looking for the ultimate gift for a loved one on their birthday, you cannot go wrong with a birthstone. Birthstones are precious to every one of us; you don't get the same personal connection with any other gemstone. You'll be spoiled for choice in our range of sapphire jewellery. We have pieces to suite all occasions, from beautiful everyday jewellery to exquisite pieces for special occasions. All jewellery items from Amore Argento are delivered in our special gift bag, stored in a beautiful purple heart box. Inside you'll receive a care card and a unique heard shaped polishing cloth, in order to keep your jewellery looking as glamorous as the day you bought it. If you're interested in more information on any of our jewellery items, please get in touch with our friendly team today on 0345 4503966.